If you are over 10 years old then you must read this book! This book is about a live television show. It’s not the average television show you might be thinking of. This show involves 12 boys and 12 girls to be thrown into a deadly arena and to fight one another to the death for entertainment. Don’t imagine gory scenes where people run around coated in blood. 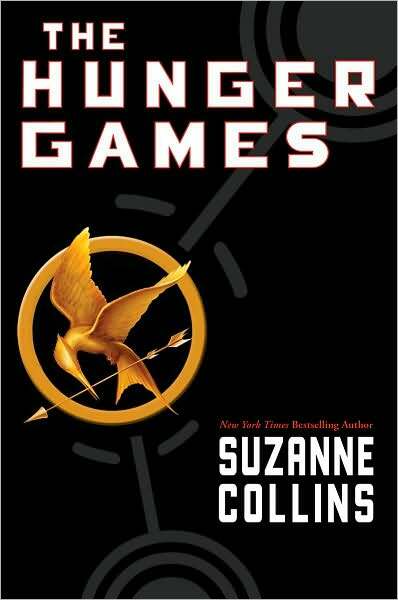 Because when 16 year old Katniss Everdeen is chosen to be put in the arena, the audience witness an unexpected twist to the Games: love. When Katniss falls in love in the arena, it may help her to stay alive or it might just be the end of her. I love this book because it gets going quickly and there is not one moment where there isn’t constant suspense. I also like it because it’s the story of how one small, starving girl rocks the nation. I recommend this book to teenage / young girls who like both action and romance.